How do you know if you need a dental consultant? We regularly run into dental professionals who are busy running their practice and helping patients but feel like something is missing. It could be that they feel they can do a better job of leveraging technology or perhaps they know that their staff can operate more efficiently or that they could be gaining new patients if they only marketed differently. Whatever your something more is, a consultant is likely the best person to help you create the change you are looking for. Employee turnover can cause significant issues with any dental practice. Every time an employee leaves, there can be delays caused by needing to recruit and train a new one. Therefore, high employee turnover can lead to patient retention issues. It is important to determine why employees are leaving and solve the problem so that current employees will want to stay and positively contribute to the team. Dental marketing is an important part of building and maintaining any practice. 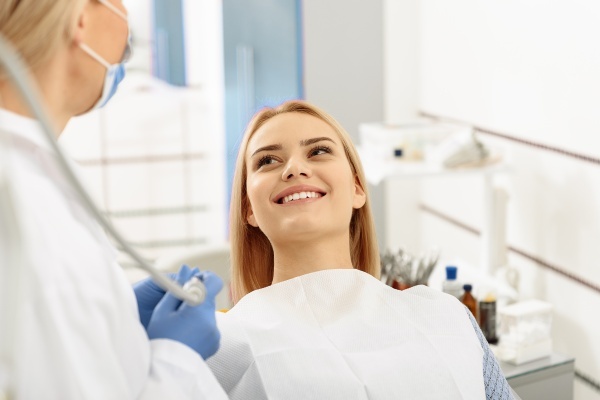 If current marketing dollars are not producing significant enough ROI, it is wise to hire a dental consultant to determine what can be done to improve the marketing campaign or to launch a new one altogether. It is important to keep an eye on profitability. If the practice is growing by attracting new patients but there is non-increasing profitability, something is not being done correctly. It is important to hire someone who can analyze and assess the situation to determine what could be leading to an increase in expenses that prevents the increase in patients from resulting in more money to the bottom line. Dental technology is rapidly improving and it is important for practices to keep up. If the practice is not implementing new imaging solutions and machinery or tools, it is likely that other practices in the area are going to capture more of the market share. Technology needs to be utilized in the office but it must be done so in a way that is strategic. It is not enough to simply make all of these tech and operational changes without a clear plan. Hiring a consultant to create one and to identify which technologies to invest in and in which order is important for ensuring a smooth rollout and proper implementation. At the end of the day, it is important to be happy and pleased with how the practice is operating. If that is not the case, it can make treating patients and managing the practice a drudgery or chore rather than something that is pleasurable. Even if the problems are not clearly defined, it is wise to hire a consultant to dig into the issues and determine what can be done to improve the office environment, operations or daily flow to increase your happiness and happiness of everyone who works there. Discover how a dental consultant can help to improve your practice by calling and speaking with us today.